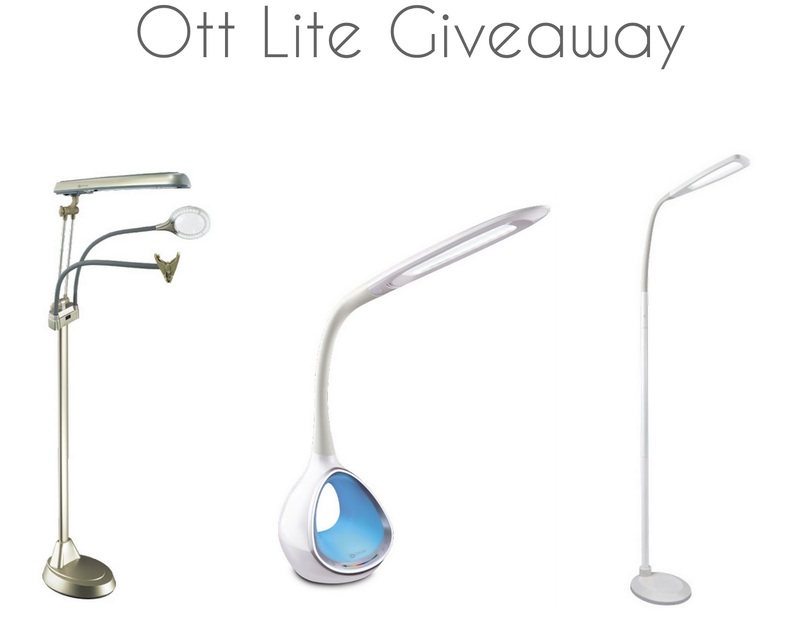 ' OttLite Natural Daylight Lamp Review + Giveaway - Sisters, What! Growing up in the Pacific Northwest, natural light is very important to us! Today we're excited to share how we keep our creative spaces well lit. Thank you to OttLite for partnering with us on this post. We did receive product, BUT all opinions are 100% ours. 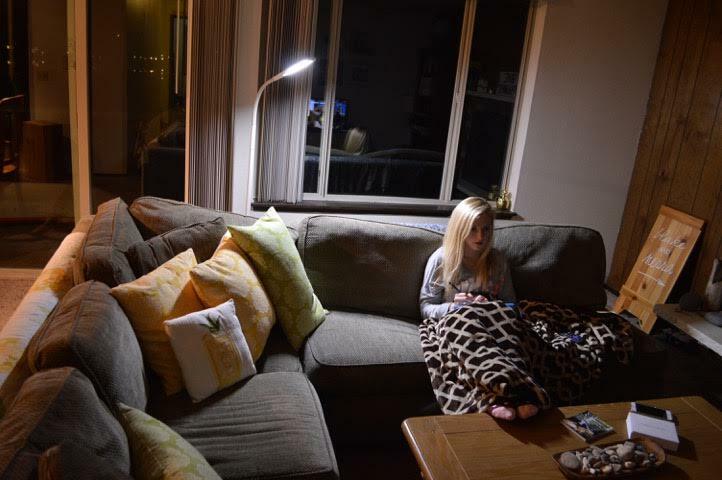 When Ottlite contact us about trying out their lamps in our creative spaces, we all said yes! Growing up in the PNW, we learned to cherish the few days of sunshine we have in the winter time. Now three of us sisters are back in the North West and were happy to give these natural day light lamps a try in a creative space. 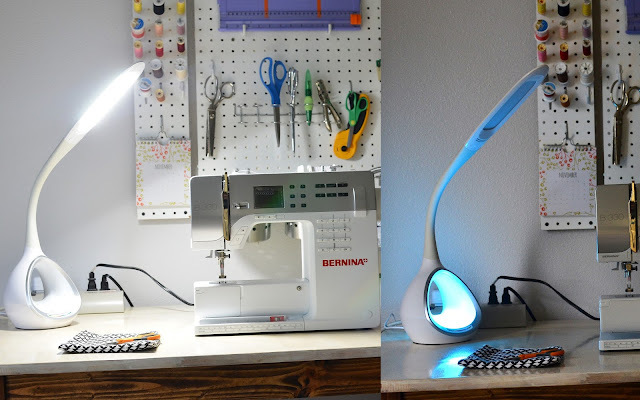 I received the Ottlite 24W Ultimate 3 in 1 craft lamp: And it has been just what I needed for my sewing space. I share a good size office with my husband, one side is his desk, the other my sewing tables and storage. It is a work in process as we have only lived in our home for a year and half and I am still working on how I would like my space. 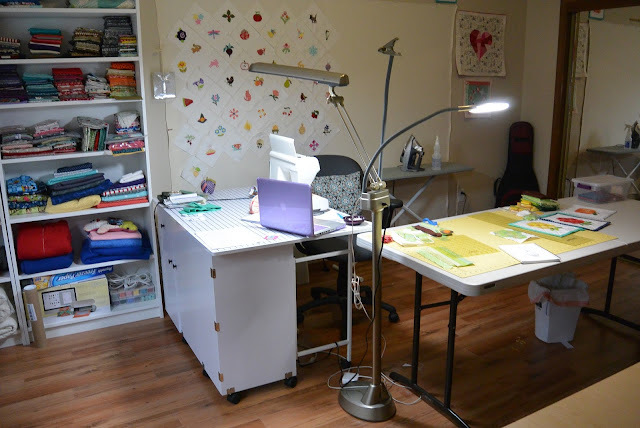 Lighting is something that this room needed, being a long rectangular room with only one window is not enough light especially living in the PNW in the fall and winter, and the room's light was barely enough to sew at night but added no benefit during the day. The ottlite has been just what I needed. It has two lights on it the main one is great for right above my sewing machine and the other light is on the magnifer which is on a bendable arm that allows me to position where needed. I use it as a floor lamp but if needed I could convert it to a table lamp or a clamp on lamp. This Ottlite is so versitile and has improved my sewing light greatly. I ordered the Led Desk Lamp with Changing Tunnel Light. I have enjoyed it on the back of my sewing desk for the past month or so. While my sewing machine does come with a light it is small. The Tunnel Light has really helped me see better while sewing. I love that it comes with two different kinds of light. A warm light and a more bright day time light. I can even control how bright each of those lights are and can even have both kinds on at the same time for a more even light. My kids love the colored light feature. At the bottom of the lamp is a small color lamp. I can slide my finger along the rainbow to get the perfect light for my mood. I have to admit though it usually stays on yellow as that is my favorite color. I can usually tell which child has been touching the lamp by which light it is currently turned to. The neck of the lamp is adjustable so it is perfect for bending right over my sewing. Over all I have really enjoyed the lamp. I too ordered the LED Changing Tunnel Light. Although I feel I now have decent lighting in my craft space, I was really impressed how much it improved upon the lighting. I use it during the day and at night. The color changing tunnel is a bonus! my kiddos love seeing it change to different colors. We love our Otte Lite! 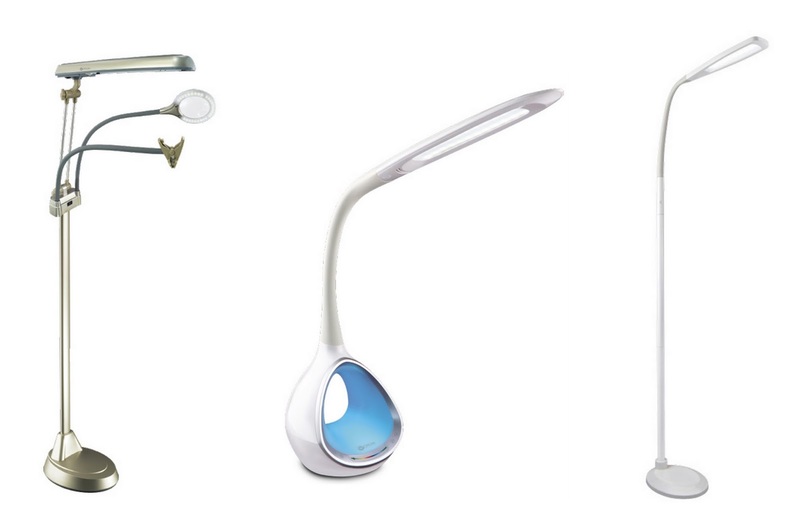 We picked out the Natural Daylight LED Floor Flex Lamp. Our apartment is really dark and so we love how bright it is, and how much light it brings to our living room! We wish it wasn't so heavy and had a more trendy look but it is very functional. To us it looks like something you'd see in a warehouse or work space, but since we just use it for everyday use we wished it blended in with the decor a little better. But beyond the look, it was easy to put together and really gives off so much light for such a small lamp.